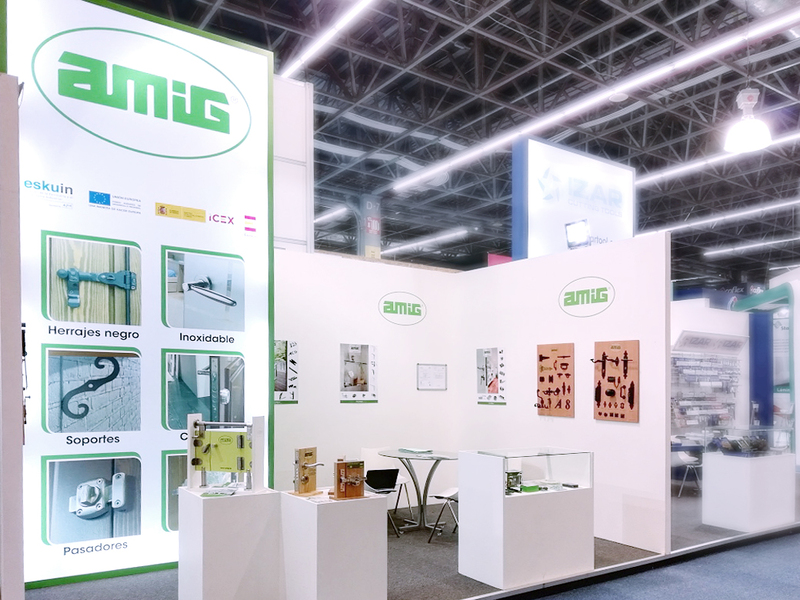 AMIG, manufacturer of hardware, DIY items and industrial supplies, was present from September 6 through 8 in the 30th edition of Expoferretera, one of the biggest industry fairs in the world. Placed in the stand 760, AMIG introduced its newest products: the high security bolt lock mod. 1 PLUS and mod. 4 PLUS, the hinge mod. PIVOT01, child safety products, as well as the new display packagings for the rustic fittings in black finish. Expoferretera takes place in Guadalajara, Mexico, and its 54,000 m² of exposition attract more than 85,000 visitors. This number of attendees is made up of not only professionals from the sector such as hardware store owners, distributors, carpenters and technicians, but also of general public.